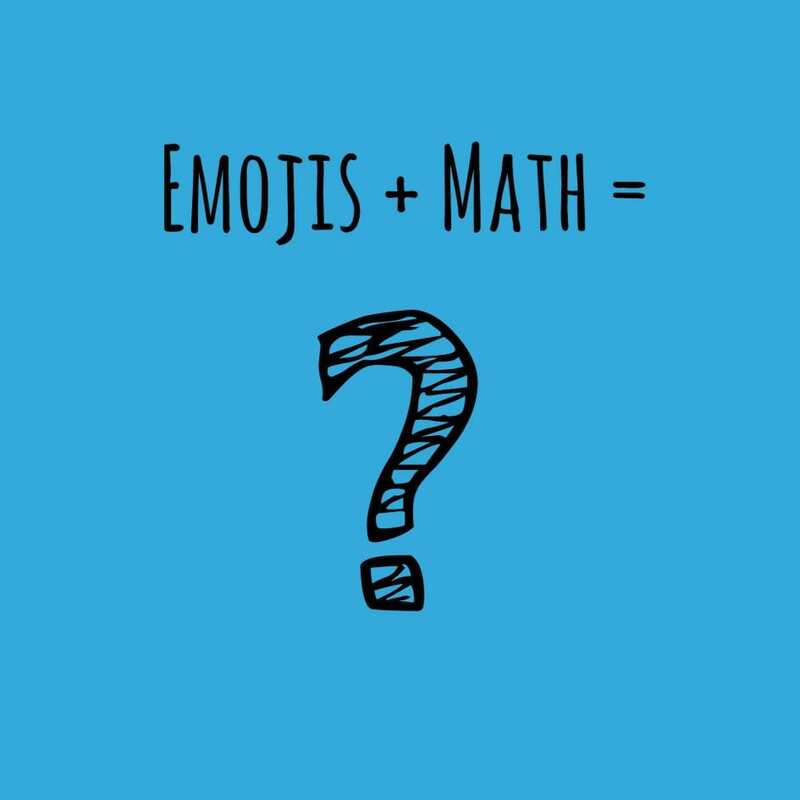 Math + Emojis = ? 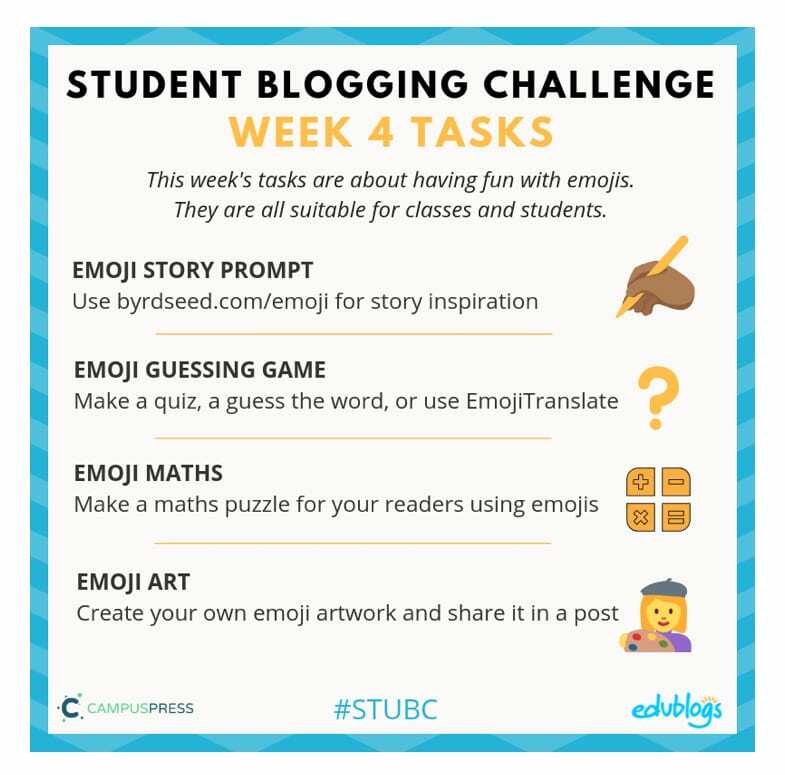 This week in our Student Bloging Challenge, we have been given the following choices of activity to share with the world this week! Welcome to my Week 4 Blog Challenge Blog Post! 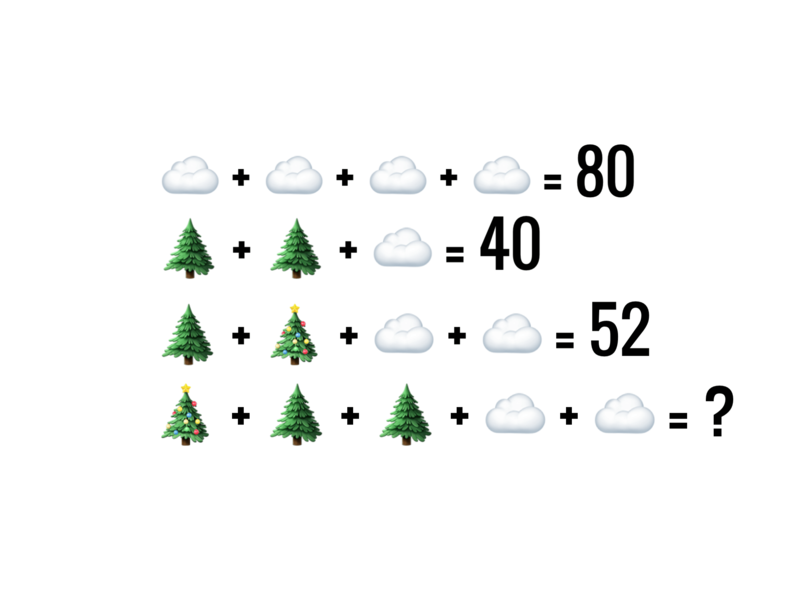 I decided that I would do the “Emoji Math” option. See what I could do. I created three questions using the app Sketches Pro. Using the text feature on the app, I wrote out my questions. It took me about half an hour to finish because it took a while to plan it all out. 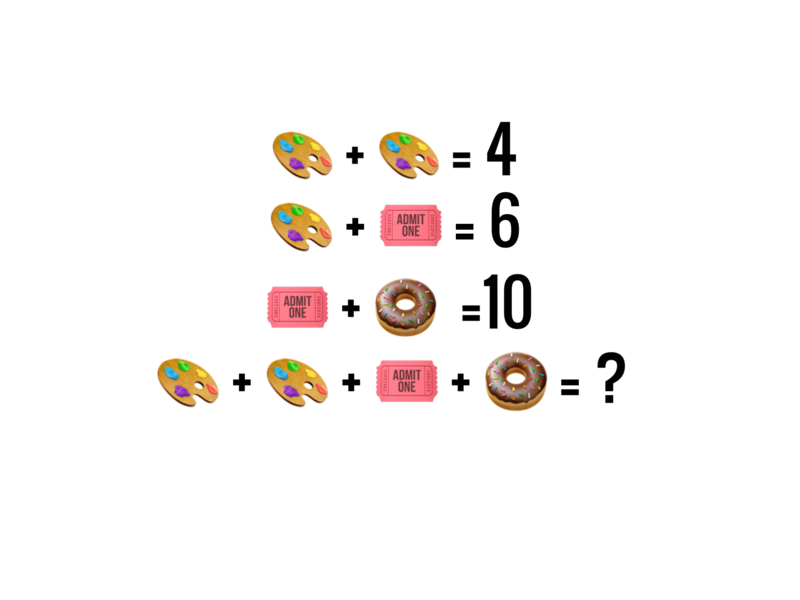 What do you think the answers are? Leave a comment below! And for anyone who wants it, I created a post with the ANSWER KEY! I really enjoyed the way you have a fun challenge using emojis. I believe the answers for your questions are1. 80 2. 42 and for number 3 I think the answer is 14. The answers are 85, 82, and 14, but you were close! My favourite subject is English or Band (but I don’t know if band counts). I found these questions very hard! They were very fun to do and gave my head a relaxing headache. The answers are. Question 1:85, question 2:62 and question 3:14. Good job creating these questions, and I hope I got them right! p.s. For the week 5 blogging challenge, we have to ask three poll questions. Here is mine: 1. What is your favorite book genre? 2. What type of house do you live in? 3. What is your favorite school subject and why? Sorry for the relaxed headache. The answers are 85, 82, and 14. You were really close. For the polls: 1.) My favourite book genre is fantasy 2.) I live in a town house 3.) my favourite subject is English because I pride myself in my reading and writing skills and that’s the class where I used them most. I’m curious what your favourite subject is? Thanks for taking the time to do my Emoji Math! I have to say that my favourite subject is language arts too! Actually, my answers are identical except I live in the country. Thank you for replying! I was wondering what it’s like living in the country? Also what is your favourite thing about Language Arts? Nice shout out. Im proud of you. Great usage of the rainbow emoji. Good luck on future posts! I got them! 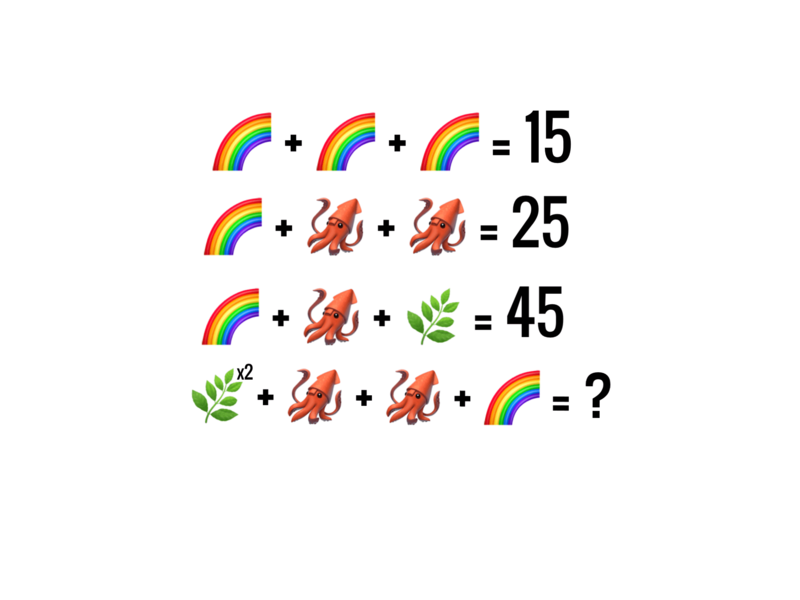 What a fun challenge with emojis! Hope you’ll keep up the excellent work with the challenges. Looks like you already have a lot of enthusiastic followers.